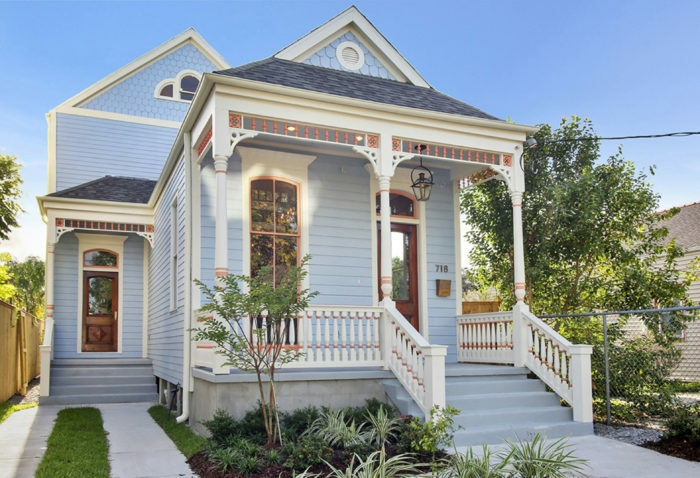 From Creole to Victorian, architect Alec Adamick shares examples of four prominent architectural styles in New Orleans. 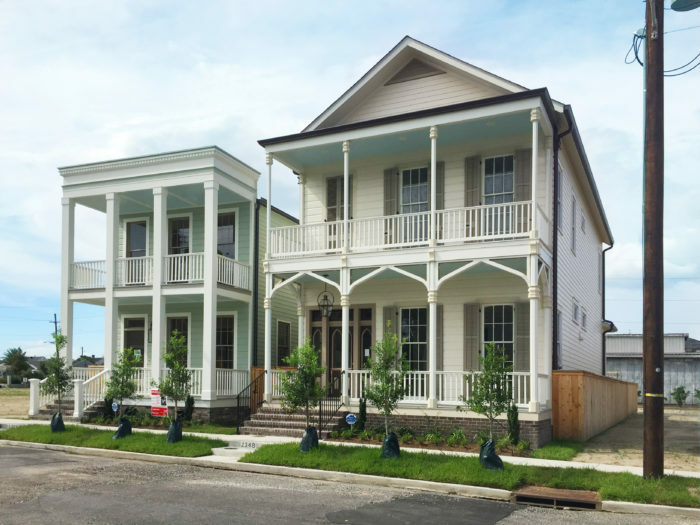 A distinction has been made between “country Creole” and “city Creole.” Cottages belong to the first category and are typically one- or one-and-a-half stories tall, two rooms wide, and two rooms deep. 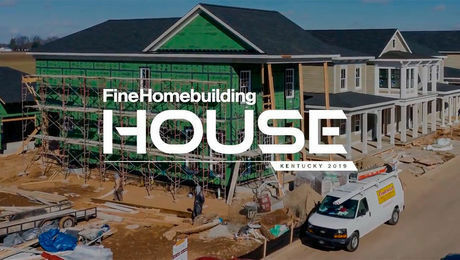 They were built using heavy-braced timber frames and Norman truss-roof systems, and they are characterized by hipped or steeply pitched side-gable roofs, narrow gabled dormer windows, deep overhangs, galleries (porches), and shuttered French doors. Most Creole cottages and shotguns were devoid of hallways, which meant rooms opened directly into each other. Often the rear rooms featured an open loggia with a small room at each end called a cabinet. Cottages were typically elevated and sat flush with the road. Variations include the double-shotgun, a sort of duplex, and camelback shotguns—still a popular building type today. 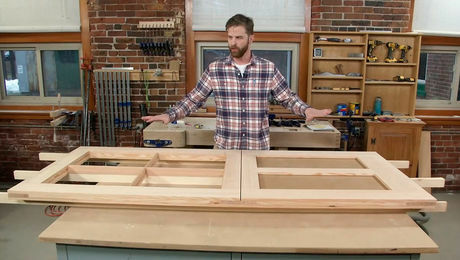 “It’s almost its own style now, with the lower mass in the front and the second story to the back,” notes Alec. Built between 1790 and 1890, townhouses were “city Creole.” Given the urban lots on which they were erected, most featured vertical massing and a long, narrow footprint. They were usually two or three stories tall and topped with side-gable or hip roofs. 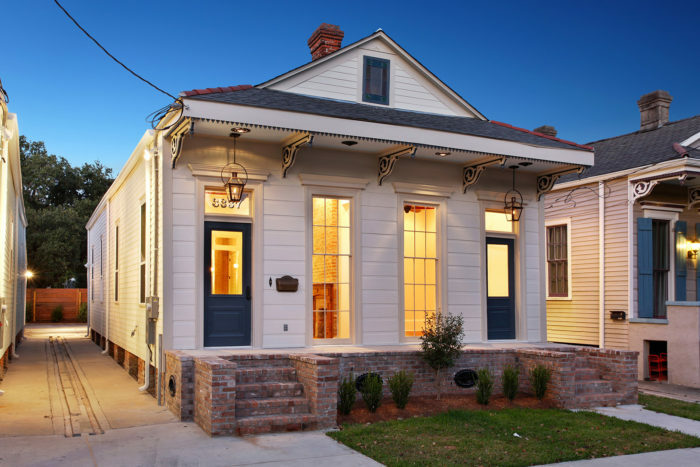 The Creole aesthetic started to change with Spanish and Anglo-American influences, which resulted in more austere houses, often stucco-clad or with wood siding scored to look like stone blocks. 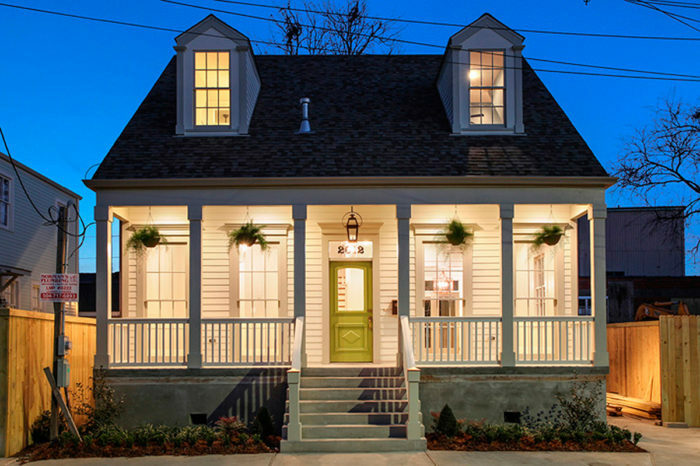 Creole cottages were fitted with full-height galleries featuring hefty square pillars or classical round columns and heavy entablatures, lending them a Grecian appearance. Roofs tended to be front-gabled or hipped, and pedimented trim was common. The smaller of the two houses pictured here is a solid example—with its square columns and thick entablature. The Italian Renaissance reached New Orleans in the form of architectural motifs that included symmetrical facades, segmented-arch doorways and windows, heavy hood moldings, and decorative casings. The extensive use of single or paired corner brackets along roof eaves and galleries is arguably the most recognizable stylistic element. 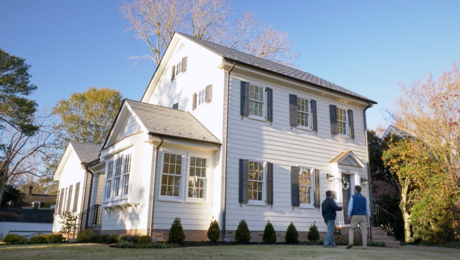 The double gallery often included a deep horizontal overhang, and it was customary to have quoins, shiplap or weatherboard siding, and ornate hipped-gable roofs. Italianate detailing didn’t replace Greek revival altogether; Corinthian or Doric columns with cornice and decorative parapets continued to be popular. Alec’s Bayou St. John Single-Family Renovation project—a historic Italianate two-family double shotgun converted into a single-family home—includes a modest mix of key elements. Eastlake and Queen Anne architecture pushed the Italianate style’s penchant for ornate detailing even further. Victorian houses were adorned with pierced, cut, turned, and patterned trim, brackets, posts, and rails. Wood siding and roofing shingles often included a variety of shapes and patterns. Other popular embellishments included bay windows, turrets or towers, decorative metal ridge caps, and stained glass windows. Wraparound porches, irregular floor plans, and complex roof lines also epitomized the style. 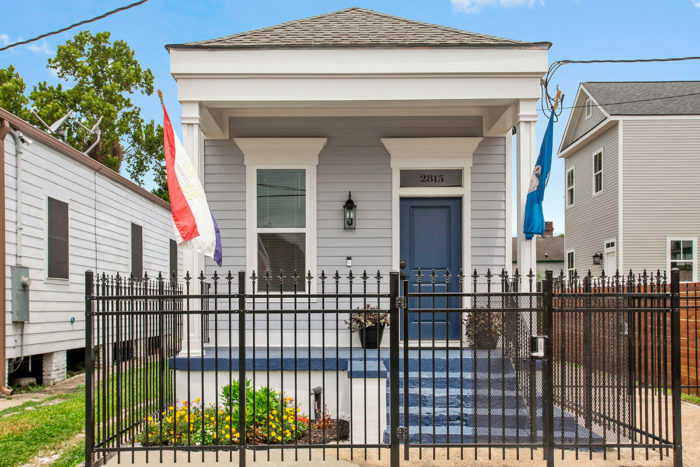 In New Orleans, many of the once-simple shotgun houses were dressed with Victorian details. I agree with the idea that poverty is the best preservationist. Some of the most intact original neighborhoods in the country look the way they do because local residents didn't have the disposable income to keep up with the current trends through the years.